The training programme ‘Raising the Professional Standards of Defence Lawyers in Russia’ was launched in St Petersburg in October 2016. A series of educational events and exchange of experiences has been organised for practising defence lawyers in the Northwest of Russia. The training addresses the principles of fair trial and professional legal ethics, as well as practical skills. Experienced UK lawyers are giving invaluable contributions to the training. In addition, video lectures on selected subjects are being organised, with the intention of widening the lawyers’ audience across Russia. We launched our YouTube Channel with the first of these is a lecture by the legendary solicitor Alastair Logan CBE, entitled “The Price of Liberty is Eternal Vigilance”. Full details of each seminar can be found below. There are not many things of greater interest to a lawyer than an opportunity to compare notes with legal practitioners from another jurisdiction. 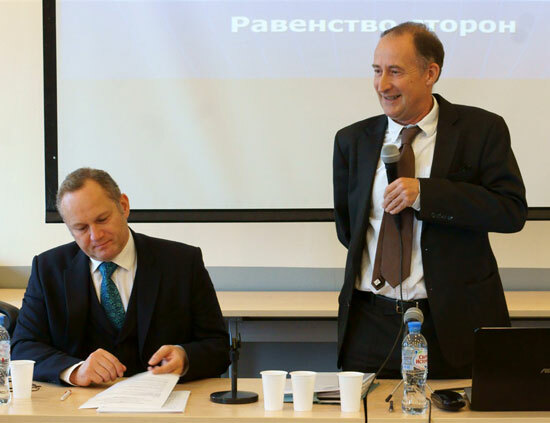 Early in October 2016 jurists in St Petersburg and Tver had opportunities to do precisely this when two prominent lawyers from the UK – Lionel Blackman and David Osborne – came to Russia to share their perspectives on key legal issues. ‘Working with Offenders in the Community. 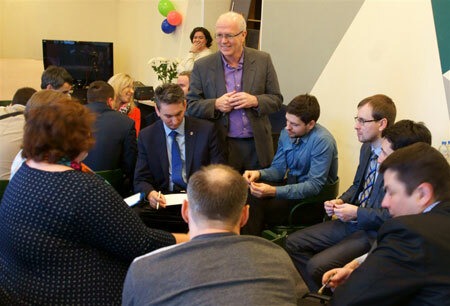 Alternative Forms of Justice’ is the second in a series of seminars held in St Petersburg in collaboration between Citizens’ Watch International (London) and Legal Training Centre (St. Petersburg). The seminar was was held on 11-12 November and attended by over 50 defence lawyers from St Petersburg and the Northwest Region of Russia. 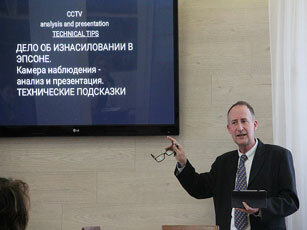 ‘Training in Trial Skills’ seminars, held over two full days (20-21 January 2017) in St Petersburg and a shorter version over one day (22 January) in Kaliningrad, were the third in this series of seminars run in a collaboration between Citizens’ Watch International (London) and Legal Training Centre (St. Petersburg). On this occasion, the three trainers from the UK were the lawyers Tom Price QC, Duncan Jones and Lionel Blackman. 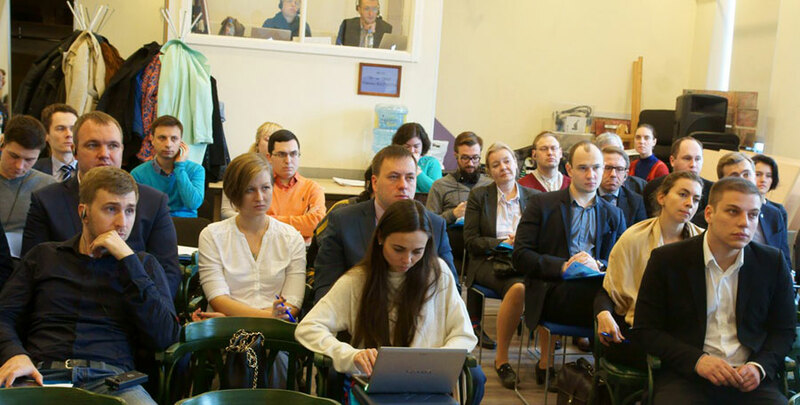 Each seminar attracted an interested group of over 40 Russian lawyers who were eager to listen to the speakers from another jurisdiction, and bring their own legal experience to bear in lively discussion. “It was very useful to learn about the use of visual technologies in court. They are valuable means in that they are easy to use and do not require heavy expenses or specific knowledge. The fourth seminar of the project focused on administrative and financial aspects of the work of English law firms and chambers. 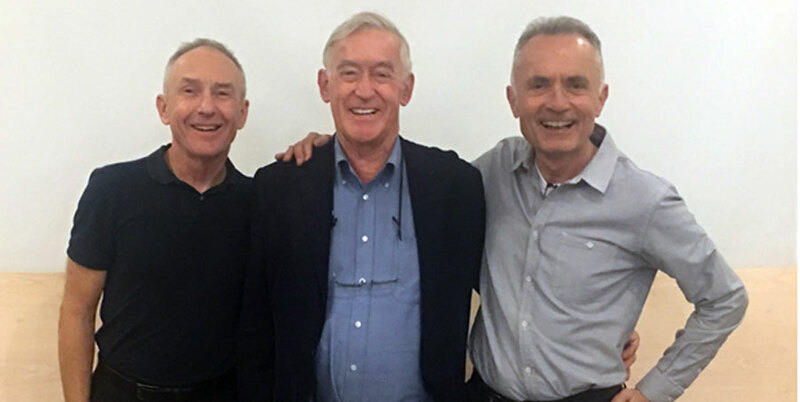 The team of experienced and competent trainers was this time represented by Robert Brown, Lindsay Scott and David Osborne. In March 2017, Lionel Blackman travelled to Siberia to deliver lectures in three cities for members of local Bars and law students. Each lecture concerned the use of visuals in criminal trials. For student audiences, Lionel also provided a brief history of the UK constitutional settlement. Students and lawyers were keen to learn more about the English legal system in general. A wide range of topics were covered in Questions and Answers sessions following the lectures: from Brexit to the European Court of Human Rights to legal education in the UK and studying in British universities. CWI has opened its channel on YouTube. The first video we have uploaded is the lecture by the legendary solicitor Alastair Logan CBE, entitled “The Price of Liberty is Eternal Vigilance”. The video has Russian subtitles. You can also download the full text in English here and the Russian translation here. Lawyers from Russia and other countries are welcome to watch the lecture, share their comments and send questions to the lecturer. The barrister Flora Page shares her experience of acting for the defence and for the Crown in an interview with David Osborne.